Kris Radcliffe is the 5, 6 and 10 p.m. anchor at KCEN TV serving Waco, Temple and Killeen. Kris has been at KCEN for 17 years. Prior to that, he worked on the air in Nebraska and California. 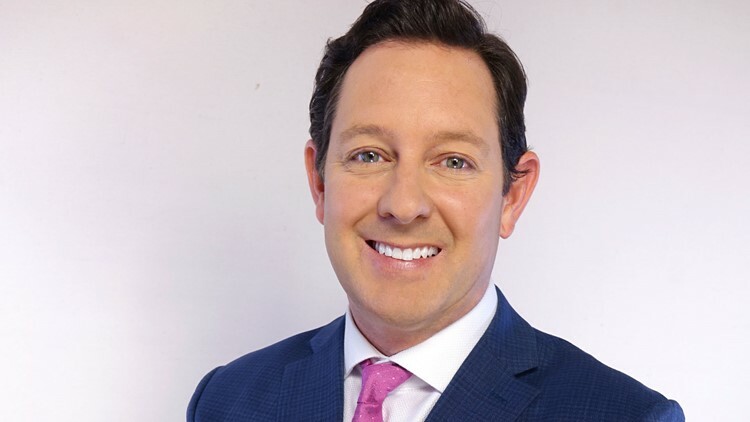 In 2016, 2017 & 2018, Kris was named the “Waco Tribune-Herald On-Air Television Personality of The Year.” Viewers have enjoyed Kris in all of his roles at KCEN. He’s anchored sports and was the morning news anchor for nine years, helping Central Texans start their day! In 2016, Texas Today won an AP Award for “Best Morning Newscast.” Now, viewers enjoy Kris in the evenings alongside Leslie Draffin. Over his 17 years, Kris has covered some amazing stories, including the Baylor Men’s Basketball scandal, the Columbia break up over Texas, the Lady Bears 2 National Championships and even a Heisman Trophy. In more recent years he’s covered the two Fort Hood shootings, the West Fertilizer Plant Explosion and the Twin Peaks biker shootout. Kris is a native of Torrance, California --a suburb of Los Angeles-- and a graduate of California State University at Long Beach. His father was a teacher and coach, and also worked for the Lakers. His role was the official scorekeeper for all home games for 48 years. That made him the longest tenured employee in franchise history! Kris needs just 31 more years to go at KCEN to catch him. Kris is blessed to have an amazing wife and two wonderful daughters. Kris considers himself a truly blessed man!